Future Fibres pioneered the use of continuously wound fibres for high tensile cables. Since joining forces with Southern Spars in 2014, specialists in multistrand carbon rigging, this union now produces the most complete range of tensile cables in the world. Future Fibres can customise cables with extreme precision for a wide range of applications, with experience at manufacturing cables with break loads between 50 and 1,000,000 kg. With ECsix, our patented multi-strand technology creates the most durable carbon cables on earth – no other company can provide carbon cables with a comparable combination of performance and durability. Bundles of separate pultruded carbon rods create the core of each cable making multistrand uniquely flexible; helping them resist fractures from both bending, compression and impact – the three chief causes of degradation in carbon rigging products. Because the rods inside the cables are free to move, they can easily accommodate bending, and shift to absorb energy during impact. Performance: ECsix cables are significantly lighter, stronger and more resistant to fatigue than metallic solutions. For a given stiffness (resistance to stretch), ECsix cables provide up to 70% weight savings with a 50% increase of tensile strength over conventional materials. Precision: Multistrand stays exhibit extremely low levels of stretch and no creep, which makes them perfect for long term use in a range of applications. Reliability: The patented bundled-rod construction makes ECsix flexible and immune to fracture from compression and impact. Stays have been tested to over 1 million compression load cycles without compromising breaking strength. ECsix has an extremely long life, double than other options available on the market. Resilience: Rods are independent of one another, if some rods are damaged, it does not affect the others in the stay. Cracks are less prone to propagation as they will with solid carbon stays. A stay can remain in service with up to 25% of rods damaged or severed until repair is possible. Degradation: Made from carbon fibre, ECsix stays are less prone to corrosion or environmental degradation and can remain in service for long periods of time without compromise to their overall strength properties. Logistics: ECsix stays can be coiled, so fabrication of our cables can be completed in the factory, not on the work site. This allows us to achieve greater levels of quality control and accuracy, and accurate installation times. ECthree uses standard modulus carbon to achieve a more affordable option for projects that do not require the all-out, high-performance ECsix. They also have lower spec end fittings which can be adjusted at either end to facilitate easy tensioning. Weight: ECthree cables saves more than 60% of your steel cable weight. Safety: Just as importantly, ECthree is safe. It is made using the same pultrusion process to a multitude of individual carbon fibre rods. This construction makes the carbon cable more impact resistant, immune to crack propagation and compression fractures. Logistics: As with ECsix, stays can be coiled, so fabrication of our cables can be completed in the factory, not on work site. This allows us to achieve greater levels of quality control and accuracy, and much faster installation times. Degradation: As they are made from carbon fibre, ECthree stays are not subject to corrosion or environmental degradation and can remain in service for long periods of time without compromise to their overall strength properties. Future Fibres pioneered the technique of winding dry composite fibres in 1996. This range of cables were flexible, light and with a good longevity. They have a vast range of applications from the marine industry to motorsport and aerospace. Certain applications require different properties, for example heat resistance, where we can utilise one of our fibre options to provide the ultimate solution. 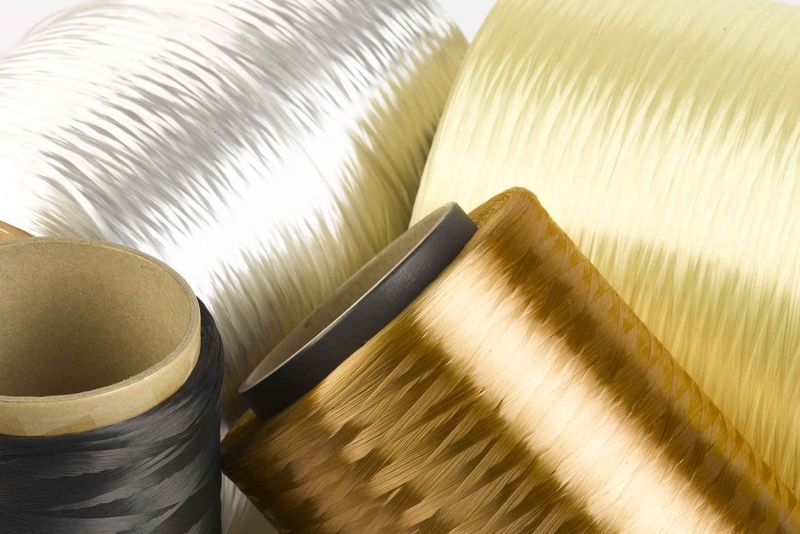 Our fibre types include PBO, Dyneema, Kevlar, Technora, Vectran, Polyester etc. Fibres are taken from large individual spools, held at a controlled tension, and wound continuously around two metallic thimbles set at the precise length required until the desired cable design has been achieved. This fibre loop bundle is then consolidated using tape layers to minimise diameter and provide environmental protection. This is then followed by a braided cover for chafe resistance. The fibre loops are then encapsulated in resin to completely seal the fibre from the elements and create a flexible transition between the termination and the dry fibre cable core. PBO fibre is a high performance fibre developed by TOYOBO (Japan) and has superior tensile strength and modulus to Aramid fibres, such as Kevlar, Technora and Twaron. It also has outstanding high flame resistance and thermal stability among organic fibres. PBO fibre shows excellent performance, in such properties as creep, chemical resistance, cut/abrasion resistance, and high temperature abrasion resistance – far exceeding other Aramid fibres. PBO fibre’s moisture regain is low (0.6%) and it is dimensionally stable against humidity. PBO fibre is quite flexible in spite of its extremely high mechanical properties. Over the past ten years Future Fibres has pioneered the use of PBO for rigging and has proven it to provide remarkable performance and longevity. Dyneema® is a high-performance polyethylene (HPPE) which is a subset of the thermoplastic polyethylene. It has extremely long molecular chains, which transfer load more effectively to the polymer backbone by strengthening intermolecular interactions. This results in a very tough material, with the highest impact strength of any thermoplastic presently made. It is highly resistant to corrosive chemicals, with exception of oxidizing acids. It has extremely low moisture absorption, has a very low coefficient of friction, is self-lubricating, and is highly resistant to abrasion (15 times more resistant to abrasion than carbon steel). In relation to PBO, a Dyneema® cable is around 10 percent heavier and 22 percent larger in diameter for the same level of stretch. Dyneema® does suffer from “Creep” which reduces its applications to dynamic loaded cable applications. Its durability around corners does make it an ideal fibre for certain applications e.g. strops. Kevlar was introduced by DuPont in the 1970s. It was the first organic fibre with sufficient tensile strength and modulus to be used in advanced composites. Kevlar is an aramid, a term invented as an abbreviation for aromatic polyamide. The chemical composition of Kevlar is poly para-phenyleneterephthalamide, and it is more properly known as a para-aramid. Aramids belong to the family of nylons. Common nylons, such as nylon 6,6, do not have very good structural properties, so the para-aramid distinction is important. The aramid ring gives Kevlar thermal stability, while the para structure gives it high strength and modulus. Kevlar was the fore-runner to PBO and shares many of the same properties but cannot compete with PBO in terms of strength and stretch.